Last night, a spiritual directee in Europe emailed me a quick question on Scripture and philosophy. I typed out a medium-length answer, but it hit me that this might actually help my other readers to understand God’s love in a new way. I normally don’t publicize emails to me, but she gave me permission and I changed her name. The above picture is Aristotle, and you’ll see how he fits into the answer. Souls don’t exist before our bodies, right? At conception, is when God first creates the soul and joins it to the body. Right? That’s when we first ‘began’ but the soul has no end. I don’t fully understand this though, because how then could Jeremiah 1:5 fit in with this? “Before I formed you in the womb, I knew you” is that saying He knew who he would eventually be or who he was before he was born? Was this like and isolated event because God planned for him to be a prophet? I mean, obviously God is omnipotente, so he knows everything anyway. I guess I bring up that verse is because I see it often used in the pro-life movement. I’m not sure how to clearly articulate myself here, hopefully it makes sense. Yes, that is such an amazing question with an amazing answer. Let’s start with the material cause. According to our famous Greek philosopher, the material cause is the actual physical properties or makeup of a thing that is. It’s the stuff we can see, touch, taste, and so on. Using my table, the wood is the material cause of the table. The table is made of wood, and therefore, the wood is the material cause. It’s a rather simple one to grasp. Next is the formal cause. Stated a bit academically, the formal cause is the structure or design of a being. In layman’s terms, we can call it the blueprints, or the plan. The formal cause is what makes it one thing rather than another. Going back to my table, we already know its material cause is wood. That’s what it’s made of. However, the original carpenter could have chosen to make the very same wood into a chair, but he didn’t. Instead, his plan, or design, called for putting the wood together as a table. According to Aristotle, our carpenter’s design is the formal cause. 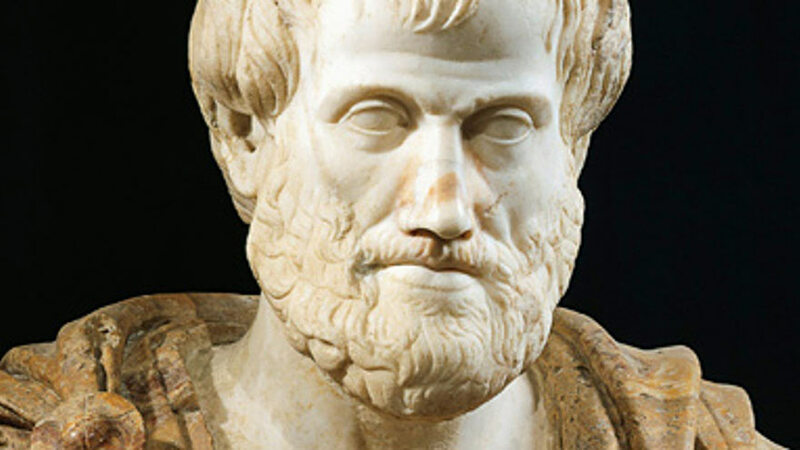 Aristotle’s next cause is known as the efficient cause. Stated very simply, this is the thing or agent which actually brings something about. It’s not what it’s made of or the plan for how to make it. It’s the actual force that brings something into being. Again using our table, Aristotle would tell us the carpenter is the efficient cause. It’s his swinging of a hammer and sawing that actually brought the table into being. Our last cause is aptly named the final cause. Being a bit more abstract, the final cause is the ultimate purpose for being. Turning one last time to my table, its final cause is to give me and my family something to eat on, to do homework on, and play cards around, making it a very, very special family heirloom. It has been fulfilling this final cause since even before I was born! Back to Padre now, writing. So, basically, you yourself have four causes, which can also mean end or telos or that which draws you to your final state of Emilyness. Applied: Your material cause is your parents’ sexual union. Your efficient cause is God making your soul. Your final cause is union with God in heaven. What is your formal cause? Well, like the author said above, your formal cause is the blueprint. The blueprint for Emily existed as old as God is, which is eternity. Why? Because God does not exist in time. That means that, although you are not eternal, the plan for you is eternal! How astonishing is that! The blueprint for Emily (your formal cause) was in the mind of God for all eternity. (Mind does not mean a physical cerebrum, of course.) Anyway, the fact that God knew that He would make you trillions of years before (before can’t even be used in an appraisal of eternity technically!) the earth existed is enough to bring a man or woman to tears of thanksgiving for God’s precise love for each soul. So, neither you nor Jeremiah existed before your conception, but when God says “Before I formed you in the womb, I knew you,” (Jer 1:5) it means that God already knew you in His eternity, even though you had not existed yet. He dreamed about the perfect Emily before you existed. What proof is that of His intimate and particular and unrepeatable love for you! Creation and Redemption and the Bayou. Henry Thomas gives us some classic but modern Thomistic Theology on gaining wisdom in spiritual warfare.